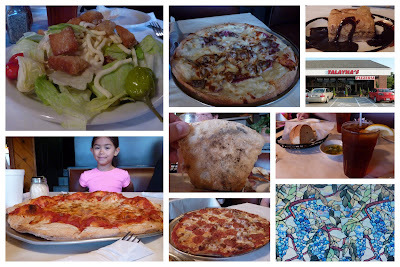 The Pizza Files: Talayna's Pizzeria June, 2011. Binge 2011 stop 3. A afternoon of swimming left 7 pizza eaters quite hungry and not interested in cooking. Fortunately I was there to say "PIZZA!" 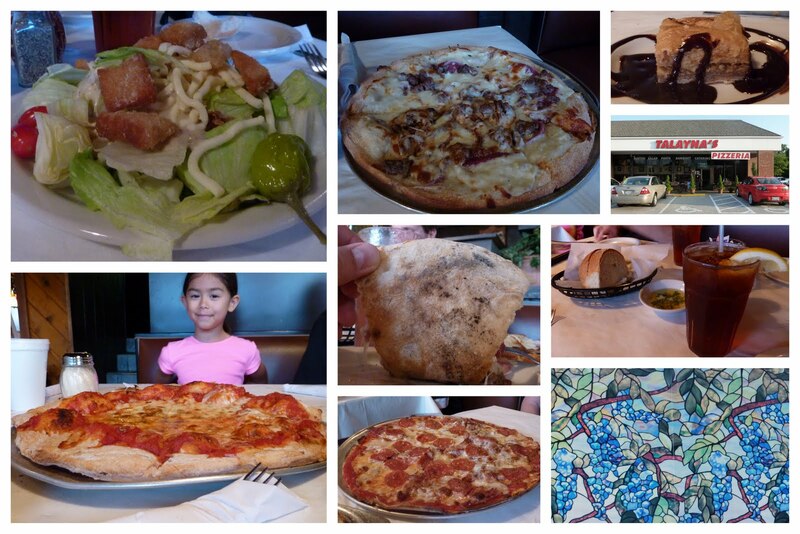 Talayna's Pizzeria in Chesterfield, MO was the chosen pizza joint. A couple of us started with the House Salad and house dressing, which I must say is excellent. For Pizza there was 3. First a medium Cheese New York style. The youngest pizza eater nearly ate her weight in cheese pizza! It must have been good. Second was a medium St Louis style pepperoni, salami and bacon. Lastly was a medium New York style with olive oil and garlic instead of red sauce and toppings were hamburger, salami and onions. To sweeten up things a little after the pizza was a square of baklava. Nobody left hungry. The pizza was excellent.